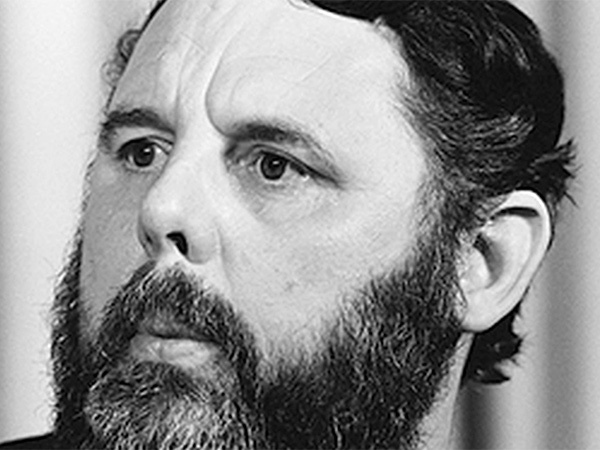 TERRY WAITE: I was prepared to face death. I was prepared to face brutalization. LUCKY SEVERSON, correspondent: You were prepared? WAITE: I was prepared as best I could be. No one could be fully prepared for an event like that. 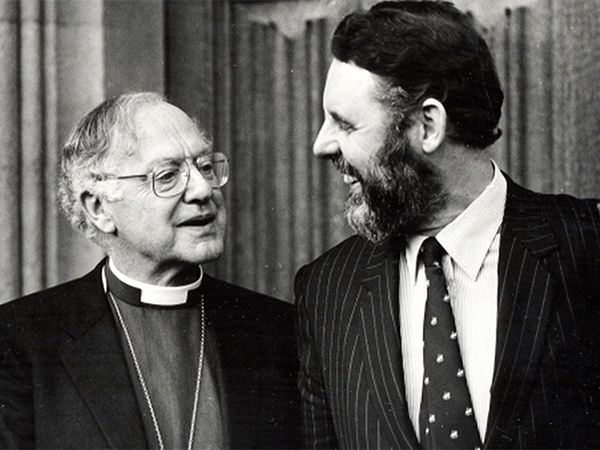 SEVERSON: That was 1991, five years after Waite, an envoy for the Archbishop of Canterbury, was kidnapped in Beirut. He was there to negotiate the release of Western hostages. Most his time in captivity was spent in solitary confinement—total isolation. WAITE: I mean the conditions were chained to the wall, sleeping on the floor, in a room where there was no natural light and whenever anyone came into the room, I had to wear a blindfold, no books or papers for years, nothing absolutely nothing. PHIL BIGLEY: I don’t know how anybody who is held in captivity and chained to a wall for so long is not psychologically damaged. He’s not only come through it, he’s come through it, and he’s still extremely balanced. Extremely compassionate. SEVERSON: Episcopal Canon Caryl Marsh is an acquaintance of Waite. She says he went to Beirut the last time even though he knew he could be taken hostage by Hezbollah. CARYL MARSH: My understanding is that when he went the last time to Lebanon when he was taken hostage that that was not an official trip. In fact, he was requested not to go, as I understand it. SEVERSON: So he knew his life was in danger? MARSH: Probably. I think it was, probably—could have been in danger all the time. SEVERSON: We met Waite at his 15th-century home in Suffolk County, England. In the kitchen: a gallery of pictures of a man who has kept few mementos of his life. He’s with the pope, the queen, presidents. WAITE: Those are some of the people I got out of Iran during the time of the Iranian revolution. SEVERSON: Do you have any idea how many hostages you helped release? SEVERSON: But quite a few? WAITE: Quite a few. It goes back over the years. SEVERSON: And very few were held in captivity as long as Terry Waite. WAITE: As you see your physical body begin to deteriorate rather more quickly than you have hoped, you say, is that going to happen to me mentally and spiritually? Am I going to fall apart inside? And I said, now is the time to take an inner journey, to get know yourself better. It looks as though you’re going to have the time to do that. SEVERSON: The secret, he says, is to keep yourself alive mentally. WAITE: Well, I began to write in my head. I began to use my imagination. The first book I wrote, called Taken on Trust, was written in my head. Now people say to me, you mean you wrote every sentence, every comma, every dot? No, no, not at all. But I got the general drift of what I was going to say, what I wanted to say. WAITE: Be still. Listen to the inner voice. Learn to love. Let compassion guide your actions. Walk calmly through the mists of unknowing. The Kingdom is yours. SEVERSON: In the complete isolation of his cell he not only talked to himself, he imagined conversations with people he had known. He pretended to live a normal life, even holding regular communion. WAITE: I would save a little bread from my supper, pour a little water in a beaker, and say a communion service to myself. SEVERSON: To keep from going mad he silently recited prayers he had memorized from the Anglican prayer book. 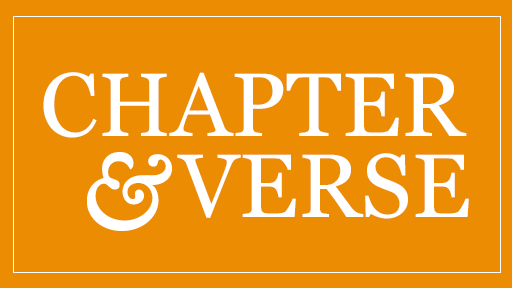 He did this for 1763 days—chained, often blindfolded, sometimes tortured. WAITE: I said this to myself in the face of my captors. I said, you have the power to break my body, and you’ve tried. You have the power to bend my mind, and you’ve tried. But my soul is not yours to possess. In other words, my soul lay in the hand of God. SEVERSON: Did you know you’re captors? WAITE: No I never saw them. SEVERSON: Never spoke with them? WAITE: Well, I ask—I said, does it not say in the Koran you mustn’t steal? Oh no we mustn’t steal. I said, how is it you’re stealing me? Take my life. He said, we’ll go and ask the chief about that. They went and asked the chief, came back a couple of weeks later. I said, what did the chief say? The chief said we mustn’t talk to you. SEVERSON: When Waite came home to London the world had changed. The Berlin Wall had fallen. Apartheid had ended in South Africa. His wife and children didn’t know him nor he them. For almost five years he had been speaking with only himself and didn’t know how to communicate with his loved ones. It took months to adjust back to reality, months in the spotlight: the hero comes home, alive. In the meantime, he took the book he had written in his head and put it on paper. BIGLEY (to Waite): Do you have enough mails to read there? Two thousand seven hundred and twelve. That’s just today. SEVERSON: Phil Bigley met Terry Waite after his brother, Ken, was kidnapped by Al-Qaeda in Iraq in September 2004. BIGLEY: He gave us hope, but it was realistic. It wasn’t unrealistic. We never lost sight of the fact that it was a very critical situation. 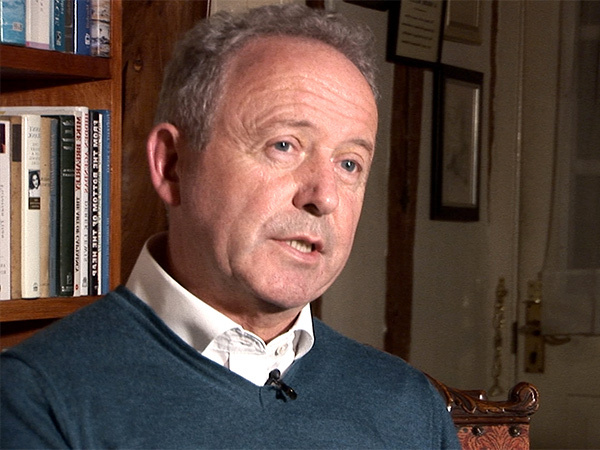 British TV: The family has now received absolute proof that Ken Bigley was executed by his captors. SEVERSON: After three weeks in captivity, his brother was decapitated. 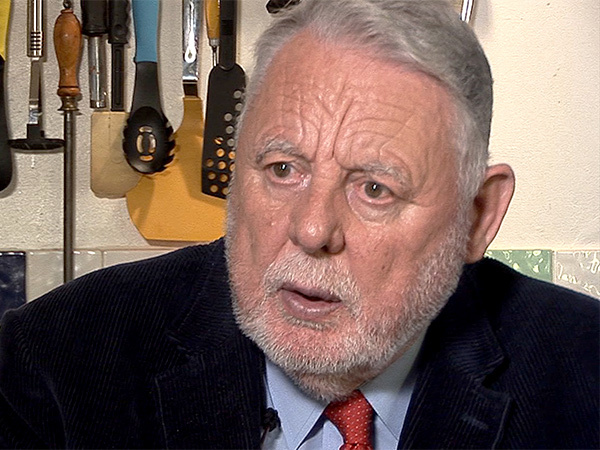 In 2012, Terry Waite returned to Beirut to meet with Hezbollah his former captors. WAITE: Well, they were surprised to see me. SEVERSON: He says he went there to reconcile and to lay to rest what he described as the ghosts of the past. WAITE: If you hold—continue to hold grudges and continue to hold anger in your heart against the other, that will do you more harm eventually in the long run than it does others. I’ve seen that happen. SEVERSON: He says his faith was never challenged while he was a hostage, but it has changed. 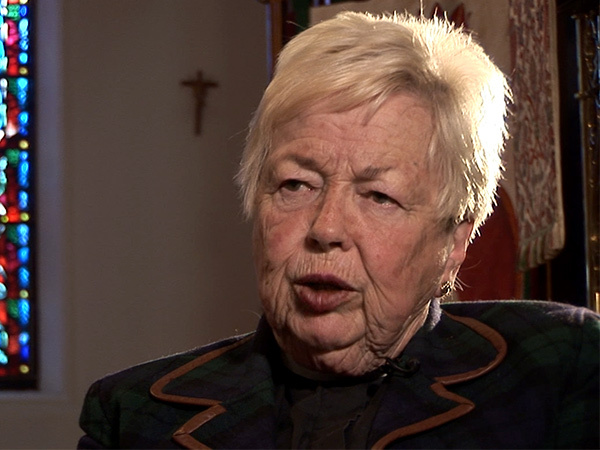 WAITE: I was brought up as an Anglican, and I could be, when I was younger certainly, a little dismissive of people who followed other traditions. And I recognize that there are many pathways, you know, there are many pathways to God. SEVERSON: So now he has an additional pathway—the Society of Friends, the Quakers, who value the unspoken word. WAITE: I value the liturgical life of the Anglican Church and of others, but I also value the use of corporate silence, which is something that is sadly lacking in our society today. 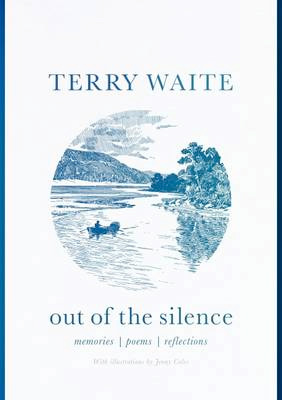 SEVERSON: It was, after all, silence that allowed Terry Waite to discover himself. WAITE: But don’t think I’m a great hero, I’m the great—who survived this remarkable experience. I’m an ordinary sort of person, very much so. It’s just that I found a key to living that sort of life, which is develop the interior life. Don’t ignore the interior life. Don’t just be content with the superficialities of life. Reading poem: How can we know such a mystery? How can we touch the intangible? SEVERSON: Waite now devotes his life to humanitarian causes worldwide. He still works for the release of hostages, but mostly with the devastated families left behind. It’s estimated that there are about 3,000 hostages worldwide. For Religion & Ethics NewsWeekly, I'm Lucky Severson in London. 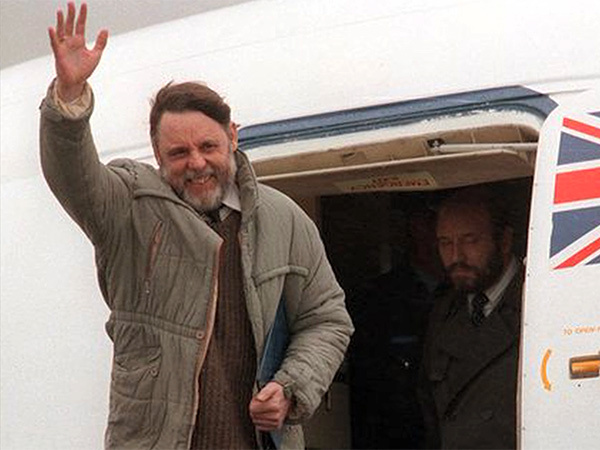 In the early 1990s, Terry Waite, a lifelong Anglican and a hostage negotiator for the Archbishop of Canterbury, was himself captured by terrorists in Lebanon. He was freed after nearly five years alone in the dark, blindfolded and chained to a radiator. Since his return to England he has written about his ordeal. His latest book of poetry is Out of the Silence, and he tells correspondent Lucky Severson how he came to value corporate silence, “which is something sadly lacking in our society today,” and how he came to recognize the importance of developing an interior life.